Hello friends, Some of you may have seen me around and for others, I'm a new to you author. I'm happy to be accepted into Sweet Romance Reads and am looking forward to getting to know all of you. 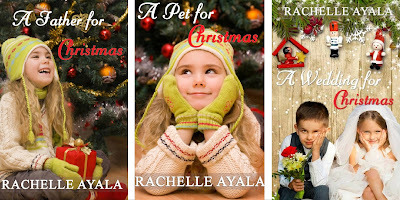 My sweet romances include A Veteran's Christmas Series (G-rated) which won Readers' Favorite awards. and my family of San Francisco firefighters, The Hart Family, Have A Hart Series (which is PG-rated) and a few Christmas stories. I love writing holiday romances, and this Valentine's Day, I will have two new releases - one sweet and one spicy. The sweet one is Valentine Wedding Hound where a reality show collides with a dream wedding. Don't worry, it is squeaky clean and lots of fun, especially when Harley the basset hound gets in the middle of things. To get to know each other, I'd like to give four copies of Valentine Wedding Hound to four lucky readers (think four-leaf clover lucky). All you have to do is ask me a question in the comments. That's it! 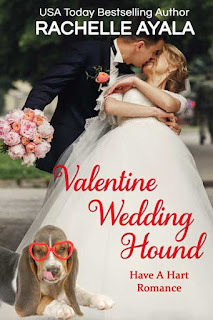 Meanwhile, please read an excerpt of Valentine Wedding Hound and sign up for my newsletter for a free sweet romance [a naughty one comes with it, but you don't have to download it, shhhh...]. 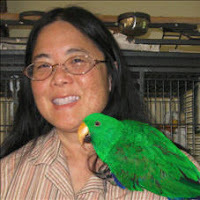 That bird on my shoulder is a Solomon Island Eclectus. I have published over 40 books, 39 fiction and 4 non-fiction. I used to ride a skateboard to school. I was married on St. Patrick's Day. Rachelle, Valentine Wedding Hound sound adorable. Welcome to the group and good luck with the new releases. Rachelle, welcome to SSR. Love the cover of your new release. Thanks so much. I'm glad to be here. Welcome, Rachelle, and best of luck with your books. Thank you! Best of all luck with yours too. Hi Rachelle, you've published over 40 books? That's incredible. I've always been amazed by how fast you write your stories. Thanks so much. I'm glad to get to know you all. Best wishes and welcome to the SRR group, Rachelle! Hi Rachelle! When did you know you wanted to be an author? About seven years ago when I got this idea to rewrite Michal and David's story from my imagination. Mainly because I thought the narrative was unfair to Michal, the princess of Israel who saved the future King David's life. So I wrote, and wrote, and rewrote, and rewrote, and out popped Michal's Window. I've been hooked ever since. Thanks! Winners: MomIsReading, Cindy Flores Martinez, Patricia Forsythe, and Josie. Please message me at the Facebook post on the Sweet Romance Reads page. Thanks for letting me introduce myself.